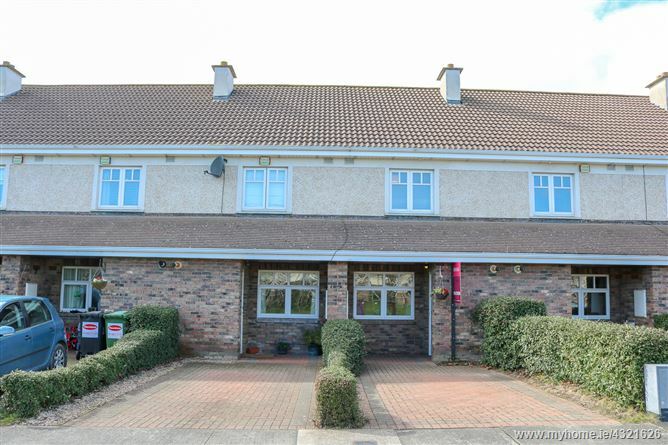 McGovern Estates is delighted to present 18 Charlesland Court to the market. This two bedroom family home is located towards the end of a cul de sac in the popular development of Charlesland. The property benefits from a south west facing rear garden and is completely private to the front facing on to a large amenity green. Internal viewing is highly recommended. The accommodation extends to 81m2 (893 sq.ft.) briefly comprises a bright and spacious kitchen / dining area, living room, a downstairs WC, 2 bedrooms and a family bathroom. The attic is also suitable for conversion should any discerning purchaser require the additional space. No.18 is located towards the end of a quiet cul de sac in Charlesland Court, a peaceful setting with minimal traffic and opposite a large amenity green. It is located within close proximity to a wide range of amenities and the Charlesland shopping centre is just a short stroll away.